Knocking on the back door of the hipster neighbourhood of Shoreditch, the New Road Hotel shelters stripped-back luxury in a building that its history is as fascinating as the newly refurbished interiors. It is the vision of three brothers, Monsur, Masrur, and Moksud Malik, who decided to build the hotel on the site of the Service House textile factory. Originally designed by architect Hume Victor Kerr, the property has always been used as a garments factory up until the turn of the millennium, and since its closure in 2000 the building had remained empty and abandoned. 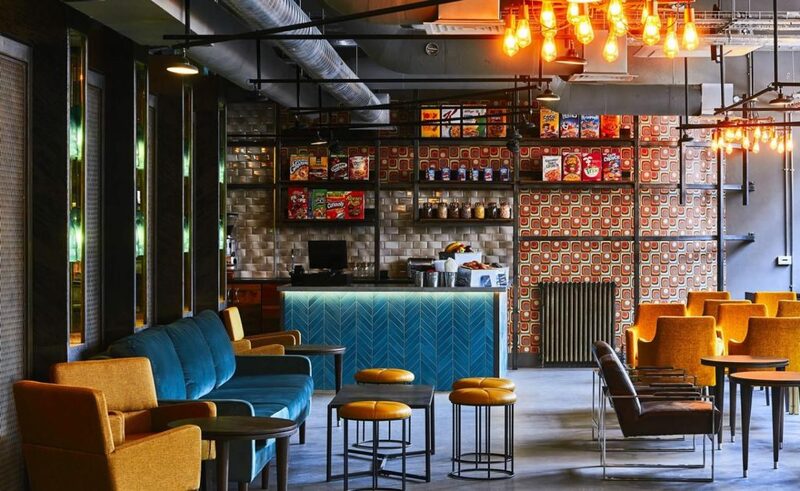 However, in 2011 the Malik family decided to convert it into a hotel, with ambitious goals to reinvent the somewhat desolate Whitechapel area with new life and social space for both consumers and walk-ins. 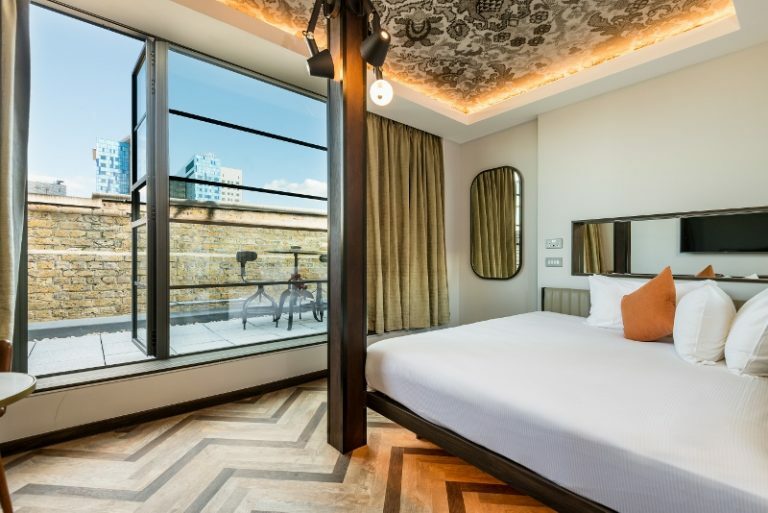 Whitechapel’s first luxury design hotel is a modern abode with plenty of character and personality. The interior design by Nigel Howard Creative is thoughtful and clever with clear inspiration coming from the building’s former existence. The plot thickens when checking in, as I learn quickly that the owner’s father used to work in the former factory. The clocking-in machine, which was kept is now placed appropriately above the check-in desk. To the right of it is the original flooring that is now infused to form a striking feature wall which frames the two lifts. That distinct reference to the original factory is met with a nod from myself. Further still, the fact that these small allusions are so subtle – so much so that many guests would walk past without noticing the significance – further adds to the charm, knowing that the story, which is literally written on the walls, is there to be explored. Upstairs, the corridors reflect the colour of the former factory, with strips of loud, floor-to-ceiling pieces of fabrics interrupting the walkways as guests navigate themselves to their rooms. 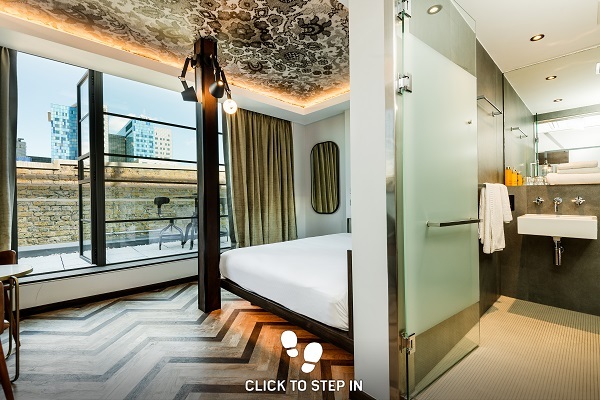 The 79 stylish guestrooms and suites have been inspired by a modern New York metropolis, created to keep the original factory features and to maximise space. The hotel’s slogan, “everything you need, nothing you don’t”, could not be more relevant when it comes to the beds. Hypnos beds were chosen and designed in such a way to eliminate the need for an in-room sofa. As a result, the rooms are cosy and feel unfamiliarly large considering that the hotel is situated a stone’s throw away from Shoreditch. The bathrooms have been designed to further echo the hotel’s theme, which just so happens to sync up to the industrial-chic trend – with grey surfaces having a major moment at the moment – that our industry has enjoyed of late. Roca worked with London-based contract furnishing company Concept Contracts to deliver a complete bathroom solution. 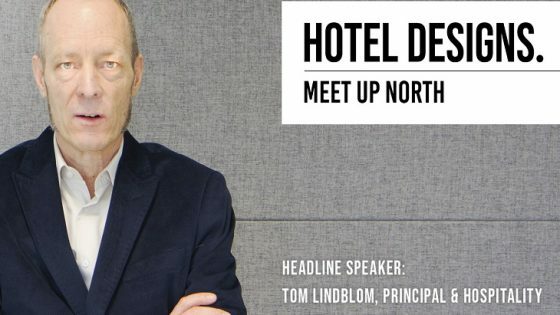 “New Road Hotel is a virtually unique space,” commented Warren Stimson, Director at Concept Contracts. 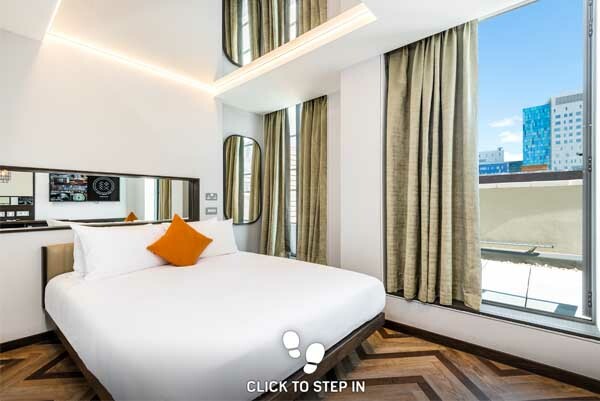 “The Roca Group has an impressive portfolio and being able to combine both the Roca and Laufen brands within one space has created the perfect solution for The New Road Hotel,” added Warren. Concept Contacts sourced The Gap wall-hung WC by Roca along with the Laufen Val basin for each room. The Gap range from Roca is a versatile collection that enables hotels to optimise the design and look of any bathroom space. Created by renowned industrial designer Antonio Bullo, The Gap features modern and stylish lines whilst delivering both a compact and functional bathroom collection. The Val bathroom collection from Laufen has been designed for the Swiss bathroom specialist by star designer Konstantin Grcic from Munich. Simple architectural lines, extremely narrow edges and fine surface structures make the washbasins of this collection globally unique. Downstairs, the public area is light, airy and lends itself naturally to members of the public using the space for themselves. The Marco Pierre White Chophouse restaurant, which gives a nod to tradition and centres on everything that chophouses are famed for: meat and hearty portions, is a blended in addition attached to the lobby and bar. The rustic furniture and exposed brick walls further adding to the industrial-chic vibe the hotel has mastered. 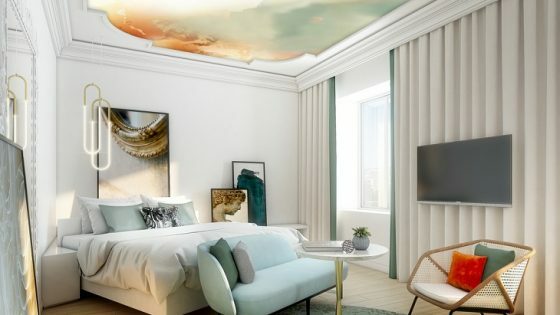 With the Elizabeth Line (Cross rail) expected to connect the somewhat forgotten district to the rest of London and beyond, the hotel’s opening is a sign for the future. 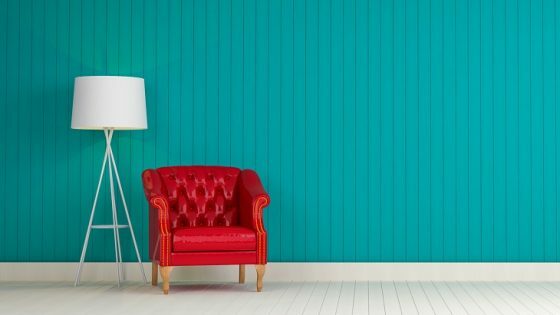 With many other former factories standing currently as empty shells, there is potential that is waiting to be grasped.